This post is sponsored by Sylvan Learning, but all thoughts and ideas are my own. 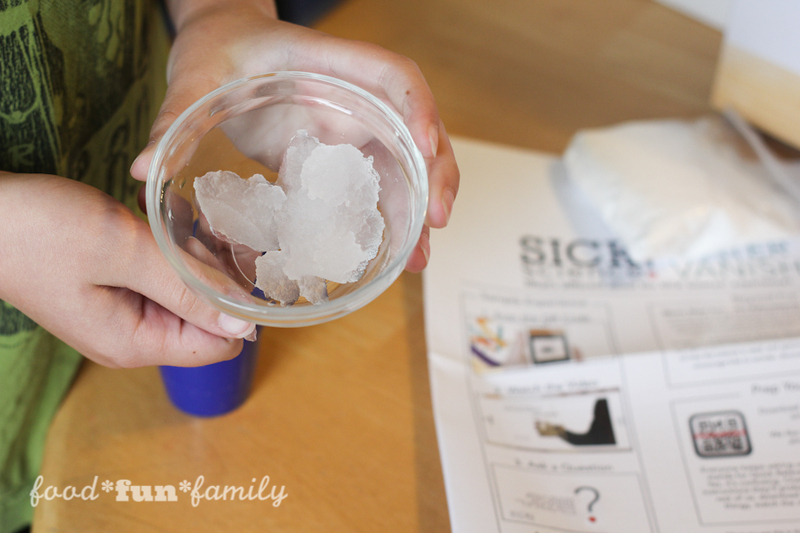 Are your kids into STEM education? What are some of their favorite STEM activities? How would you like to give the gift of education to your child this holiday season? 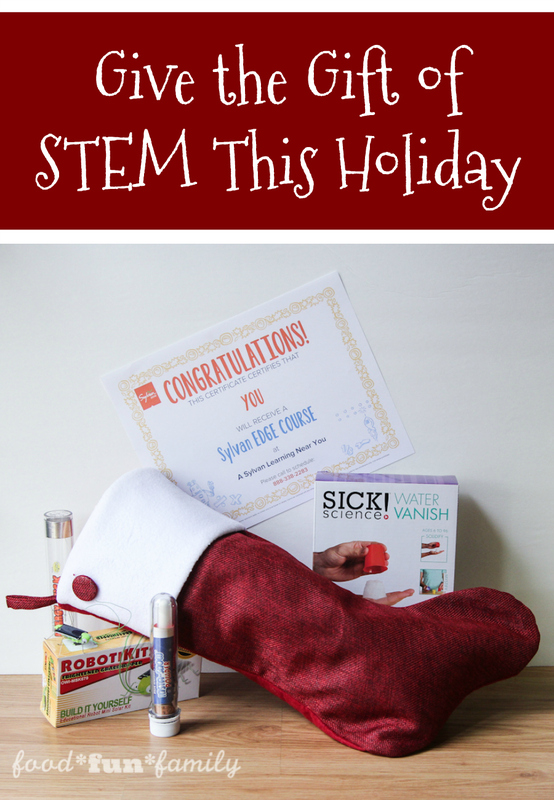 From December 1st through December 21st visit Sylvan’s Facebook page to enter to win your own STEM-themed educational holiday stocking! The weather has turned cold for good, the kids are well-established in the not-so-new-anymore school year, the holiday cards are ordered, and it is officially time to get the holiday shopping done. As my kids have gotten older, finding the “perfect” gift to put under the tree has become more and more difficult. I used to be the cool mom that knew what to get my kid and now I feel like a fish out of water, trying to figure out what that perfect gift might be. The last thing I want to do is waste money buying them gifts that will be forgotten in two days. And although I know that they could all use new socks and underwear, I don’t think they’d be too thrilled to open those gifts on Christmas morning. Luckily, I did a little brainstorming and I have some ideas for filling their stockings this year that I’m so excited about, and I know they will be, too. Luckily, we’ve discovered STEM programs available through Sylvan Learning that encourage kids to “find their edge” and experience how STEM learning can be fun. I’ve always believed that the first step in creating confident, life-long learners is to help them feel confident and recognize that learning can be enjoyable as well as rewarding. The latest Sylvan EDGE STEM classes – focused on robotics, engineering, coding, and math – do just that. Best of all, they’re fun! 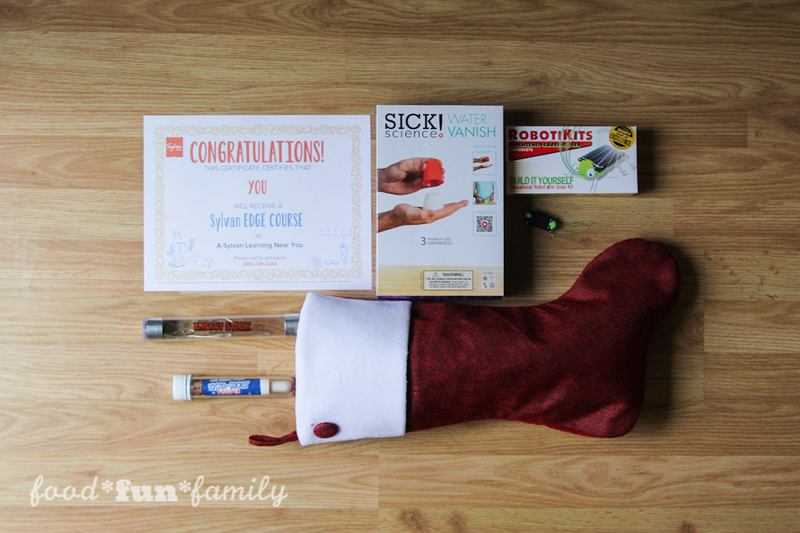 That’s why I’ve decided that the perfect holiday gifts for my kids this year includes fun, hands-on STEM-related toys or activities and an EDGE course certificate for a Sylvan EDGE program of their choice. The courses are six weeks long and I’m sure my kids will have a great experience! Insta-Snow Powder: This stuff is so cool! You literally get to experiment with snow. There are tons of activity suggestions. I can’t wait to watch this stuff expand (it expands up to 100 times its original volume). I think we might need to save a little snow to wow their friends next summer! 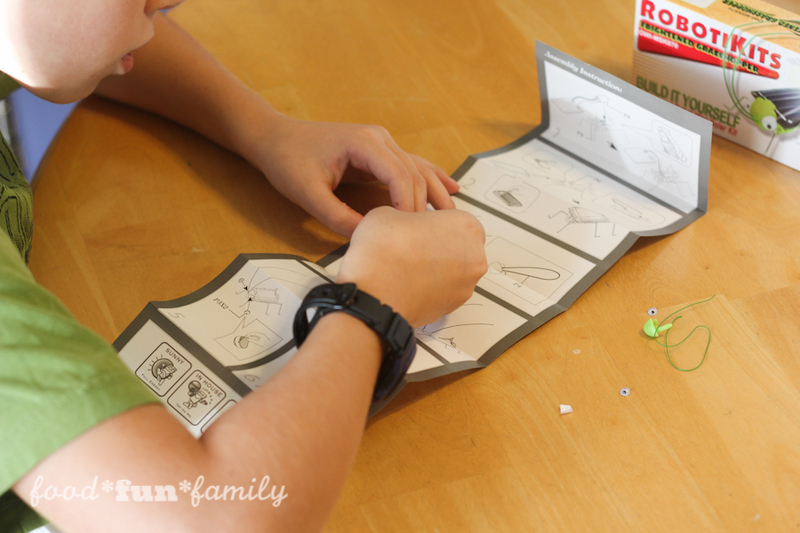 Solar Robot – Grasshopper: My son loves robotics, and he was drawn to the solar robot grasshopper. He carefully read the instructions and was able to put it together by himself. Water Vanish: This is one of my favorites. It’s simply science, but it’s also magic. My wanna-be magicians love tricks that can be explained with science but still look like magic. 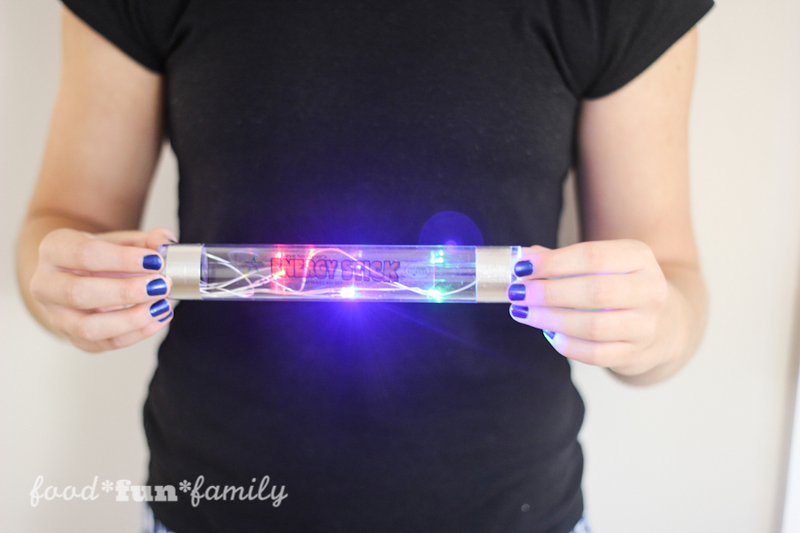 Energy Stick™: Exploring electricity and circuits is fascinating, and my kids had lots of fun seeing how they could complete a circuit. I love seeing my kids working together to test ideas out and make discoveries about how things work. We love stem activities here. The fake snow is always Fi. To make! My kids would love so many of these kits. STEM activities are awesome. Thanks for sharing! Those are great ideas. Thank you. 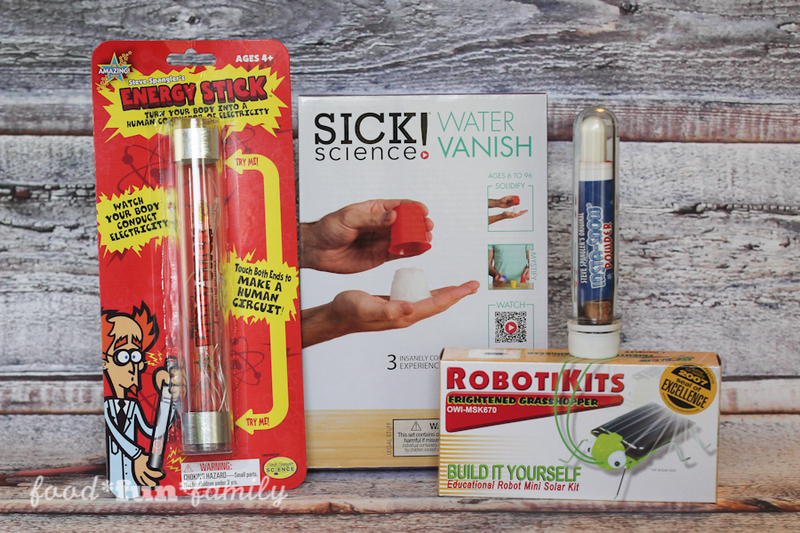 I love that these activities are geared towards science to wiring, to engineering. It’s great to get kids on that track especially if they discover a love for it.